February breaks down to the Number 2, and 2 is the Vibration that asks us to really look at what’s going on at an emotional level. Don’t be surprised if you have been a little more sensitive than usual, and with that in mind, if you feel more defensive. If you believe people are being critical towards you, stop and ask yourself, “Am I taking what they are saying to me the wrong way?” Take some time to think before you react to what is being said to you. It is no accident that Valentine’s Day is in the month of February since the 2 is also about love. I am sure most of us have had good and bad Valentine’s Days. I think that is because the actual day is a 5( 14=1+4=5) day, and that is a challenge number to the 2 month energy. When the 2 and 5 energies come together, it can literally go either way. A little suggestion: If you are in a relationship, send your partner at the very least a card letting them know why you love them — it will make a positive difference on that day. For those of you who are single, go out and celebrate your friendships and your family. Make a plan. If you have buddies you haven’t seen in a while, go to dinner together and have a great time. If money is tight, you could throw a potluck at your house to celebrate the joy of your friendship, or bring your family together and celebrate love with them! In this month of 2, trust your intuition. If something comes up and your inner voice says, “This doesn’t feel good to me,” then walk away from the situation with complete confidence, because the Number 2 always enhances our intuitive abilities and that gut instinct tends to be correct. I also see the month of 2 as a better month for all of us than the month of 1. I think the month of January still had the residue of the World Number 5 (Year 2012) attached to it, as we had just exited that year. You may feel a bit more in control in this 2 Month, which is aided by the nurturing Vibration of the World Number 6. Here’s to love, and making good decisions in this month of February!! 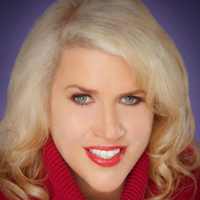 To learn more about Numerology and Glynis McCants, visit www.numberslady.com.